Spend some time getting to know your new friends at Marina Plastic Surgery Associates Medical Corporation. Each member of our team has provided a personal photo and brief biography for your consideration. Lindsey has been in the Aesthetic Industry for over 17 years and with Marina Plastic Surgery since 2005. She brings an extensive background and knowledge in cosmetic procedures, services and products. As Patient Liaison, she serves as a personal contact for potential patients and works with the front desk in streamlining the consultation process. Her primary focus is on outreach and patient acquisition by building relationships with prospective patients during the provider selection process. She will be there to answer any questions you may have before and after your visit as well as help bridge a positive and open relationship with our practice. Melissa has been in the Aesthetic Industry for over 15 years. She has a vast knowledge of cosmetic surgeries, non-surgical treatments and skin care products. She will ensure that all administrative details of your services are well handled. Above all, Melissa’s role is to offer personalized assistance to ensure that your Marina Experience is exceptional. She works alongside the Director as a trusted and valued extension, for all patient issues and customer service. Melissa is bilingual, and fluent in unsurpassable customer service. 🙂 In addition to her responsibilities, Melissa brings a genuine enthusiasm to all aspects of her work, that our patients feel and deeply enjoy. Silvia has worked in the fashion & beauty industry for over 7 years. She is dedicated to helping patients achieve their aesthetic goals by being a warm and caring Patient Advocate. You will feel at ease with Silvia during your surgical process because she is attentive, compassionate, and thorough. Silvia will ensure that all of your questions are answered, and all of your expectations are addressed. She is dedicated to excellence in all facets of her career at Marina Plastic Surgery. Se habla Espanol. for over 10 years.She is here to ensure that you have had exceptional service and care, your purchases are completed, and that your next appointment is scheduled. Erica is usually the last friendly face you will see before you leave our office. Desiré has been in the medical industry for over 13 years. Her solid experience in a healthcare environment results in the ability to deal successfully with the demands of a busy and diverse patient base. In addition to her extensive experience, Desiré possesses strong communication skills, a calm and pleasant demeanor, and an innate ability to be warm and compassionate. She is responsible for greeting and registering patients in the facility as well as verifying correctness of patient demographic and privacy information. This winning combination ensures that you will receive exceptional service and care, while visiting Marina Plastic Surgery. Maria has been with Marina Plastic Surgery Medical Corporation since 1989. Most of her time is spent with post – operative patients and patient education.She is also the Clinical Nurse coordinator for the FDA regulated clinical breast implant studies in our office.Maria has a Master’s Degree in Nursing from USC. She enjoys working with patients and directing them through a positive surgical experience as well as the many other services we provide. Patrice has been with Marina Plastic Surgery Medical Corporation since 1995. She specializes in preoperative preparation of patients for surgery and postoperative care.She is a registered nurse with an associate in science degree. Having graduated from Bergen Community College in 1975, Patrice has enjoyed many different areas of medicine, but specifically loves the Plastic Surgery field. Tami, R.N., joined Marina Plastic Surgery in 2002. She primarily assists with patient care.She LOVES working with patients and their families pre – and – postoperatively.She is a mother of twin boys who keep her busy when she is not in the office. Tami received her nursing degree from Santa Monica College, and also attended UCLA on a full athletic scholarship for swimming. Bessy works in our practice to assist our Physician Extenders, in the non-surgical division of our practice, ‘The Institute’. Her primary focus is to be the liaison between the PEs and patients, to ensure optimal communication and understanding. She joined our team with extensive knowledge is the medical industry. Her past includes cosmetic, dermatologic, and family practice experience as a Certified Surgical / Medical Assistant. Bessy takes pride in her calming disposition, and is always available to help out wherever she is needed! Her mission is to ensure maximum comfort and trust while in our care! Jessica has been with Marina Plastic Surgery since 2000. She serves as an insurance coordinator in the billing department and will graciously be your personal liaison for all insurance – related matters! Jessica is the key contact person at Marina Plastic Surgery for obtaining the maximum benefits from your insurance carrier. 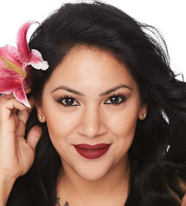 Celebrity Beauty Expert, Rachael Martinez, works in our practice as a licensed Medical Aesthetician, Certified Permanent MakeUp Artist , and Body Contouring Expert. Our practice is the world’s leading authority on CoolSculpting, and Rachael is credited for much of this success. She is dedicated to improving her patients’ overall appearance from head to toe, and thrives on making people feel more confident as a result. Rachael’s extensive knowledge of skin care products and procedures will ensure THE BEST treatment and result available in our industry. With nearly a decade of experience, you can rely on Rachael Martinez to deliver personalized and consistent visible results. Beauty Expert, Paulette McNeely, is a licensed and certified Medical Aesthetician & Body Contouring Expert. Paulette will work closely with you to obtain your skin care dreams and body-shape goals. Our Medi-Spa, The Institute, is the world‘s leading authority on CoolSculpting and non-surgical body sculpting technologies, and allows Paulette to thrive in her area of expertise. Paulette’s vast knowledge of cosmeceuticals and cosmetic procedures ensures that you’ll get the best treatment available in the country. Her sweet and sincere disposition, coupled with serious results and compassion, are a winning combination! Both male and female clients leave satisfied, nurtured and with a renewed sense of confidence. Vanessa Gomez has been fascinated by the Beauty Industry since her early teens. She pursued her passion by attending a very prestigious make-up academy, where she was awarded top honors and ‘best-of-class. Vanessa was especially touched by seeing how her makeovers boosted self-confidence in her clients, and that was when she felt compelled to take her gift a step further, and entered the aesthetic surgery world. Here at Marina Plastic Surgery, Vanessa can now utilize her compassion and understanding as she assists clients in their Marina Experience. She will help you with the check-out process and to coordinate appointments. She welcomes you with her warm Rock-a-Billy style that embraces the romance and wholesomeness of the 50s, and her sincere personality matches her style and polished appearance. With her genuine welcoming personality Danna will assist you with your check-out-desk experience. With over 15 years of customer service, coupled with her gentle manner, you will feel welcomed from the moment you meet her, allowing your Marina Experience to be magical. In 2009 she studied at Everest, as well as UEI for her Pharmacy Tech License. Her insatiable eagerness to learn the aesthetics industry led her to become part of our Marina family. Her compassion to help others expanded when she became a Certified Hearing representative. We are happy to have her as part of our Marina team! Jeanette Quintanilla is the Medical Assistant for our nurses and physicians. She has worked in the medical field for over four years and has a true passion for helping others. Jeanette especially enjoys the Plastic Surgery industry where her skills help both men and women with their pre-operative and post-operative care. She enjoys seeing the gratitude and satisfaction in patients as they undergo elective procedures, and finds it extremely rewarding to witness their new-found confidence. This proud mother of a young daughter takes pride in extending heartfelt patient care, as she knows firsthand how vital that can be to the decision making and recovery process. Jeanette’s goal is to make your time at Marina Plastic Surgery as comfortable as possible for clients and family-members alike. Eliana joined Marina Plastic Surgery with an innate desire to assist others. She plays a dynamic role in ensuring that all medical records are properly stored, and accessed as needed. Her position allows for a seamless process from the minute you walk in and first become a client, to years down the road, as a Patient-For-Life. Eliana was educated as a Certified Medical Assistant and her positive and kind energy will give you the confidence that your records are in efficient and capable hands.